In the recent Forrester Wave™: Customer Analytics Solutions Q2, 2018 report, IBM was recognized as a leader based on IBM’s Watson Customer Experience Analytics (CXA) and Watson Marketing Insights (WMI). Scoring high overall in a 39-criteria evaluation in the areas of business impact, time to value as well as product investment and vision. The evaluation included 9 customer analytics solution vendors who provide a comprehensive customer analytics platform which offer DIFM (“do- it-for-me”- business user friendly) and out of the box capabilities. According to the report, as demand for easy and instant access to customer insights among many professionals has increased so has the market for DIFM customer analytics solutions. Due to lack of IT and data science resources within many organizations, this new class of customer analytics solutions has surfaced allowing non-technical business users to leverage the insights needed to make better business decisions. Click here to download the Forrester Wave™: Customer Analytics Solutions Q2, 2018 report from IBM. Watson CXA distanced itself from the competition by excelling in Journey Analytics and Struggle Analytics in the Forrester evaluation. Both offer a greater visibility into customers' behavior resulting in outstanding digital customer experiences by leveraging an infusion of Watson AI technology. 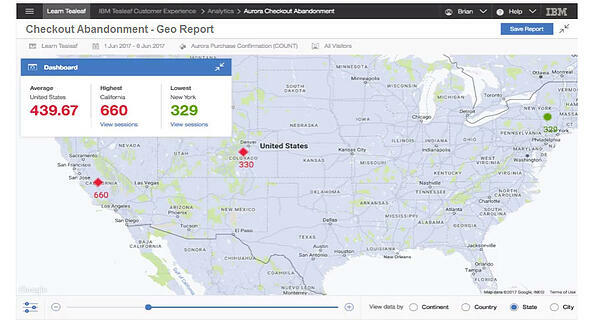 Journey Analytics provides a cross channel and multi-session customer view to help visualize the complete journeys customers take and assist with identifying the top-performing or popular paths that lead to conversion, offering actionable insight that can be used to replicate positive customer experiences. 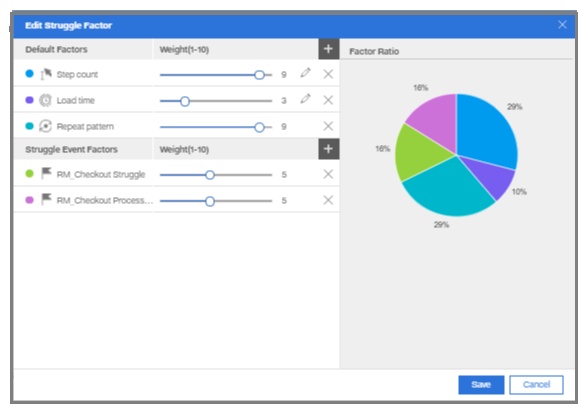 Struggle Analytics recognizes potential struggle activity, such as step counts, repetitive patterns, or slow load times for pages. 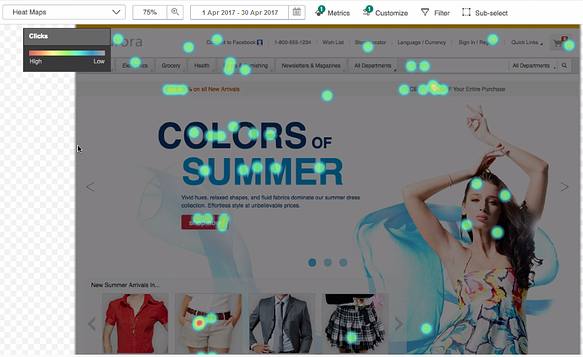 In addition, it allows you to drill deeper with session analysis to view individual customer experiences and readily determine the cause of customer struggle. Forrester commends IBM Watson Marketing Insights (WMI) for its AI powered predictive customer insights and out-of-the-box analytic capabilities. It allows businesses to explore marketing insights and leverage predictive analytics without requiring data scientist technical skills. IBM WMI assists marketers in understanding and forecasting customer behaviors by recommending target audiences based on predictive analytics by creating segments based on a profile of customer data compiled from multiple sources. For more information about IBM Watson Marketing Insights, click here. As a top performer in customer analytic solutions, IBM Watson Customer Experience Analytics (CXA) provides a comprehensive customer analytic platform which offers a seamless, end-to-end view of the customer experience to understand and optimize every journey. Gain the insights you need to resolve issues, boost conversions and maximize lifetime customer value with Watson CXA. In our eBook, we have highlighted the top 10 use cases and formulas for success. Please click the tile below to download the eBook. Pereion Solutions is an IBM Gold business partner specializing in Watson Marketing. If you would like to learn more about IBM Watson Customer Experience Analytics please click here or the tile below to request a consult or request a demo. General Data Protection Regulation (GDPR) will go into effect on May 25th, so if you are an organization with customers, vendors and partners in the European Union (EU), you will want to ensure that the way you collect, store, and manage their personal data complies with the new regulation. Designed to give individuals better control over their personal data and establish a single set of data protection rules across Europe, GDPR signals a critical turning point in the way organizations across the globe will need to approach data privacy – providing both challenges, as well as opportunities, for your business. As you work towards becoming GDPR compliant, performing a GDPR health check on your IBM Digital Analytics (DA) solution is beneficial in preparing for your GDPR readiness. The protection of personal data is the core of GDPR, and personal data under GDPR is any information relating to an identified or identifiable person and can include online identifiers, such as contact information, email address, IP addresses, and other unique identifiers. With the strict rules established for safeguarding this personal data, it is critical for you to identify the customer information you are collecting, understand how the information is being used by your company and recognize who has access to the information across your organization. As tags are the primary means for collecting online data and gathering behavioral information about your customers and site visitors, an effective GDPR health check should include performing a tag audit to evaluate the tags used on your website. Implemented properly, a tag audit can help you isolate specific tags and attributes that are being used to collect different kinds of customer data and how they data is being used. In addition, efficient management of tags on your site can assist you with maintaining proper control and processing of personal data, as well as assist with offering the required consent or opt-out provision to individuals, which is a key part of GDPR. Conducting a report review to examine personal data is important for understanding and developing an inventory of what personal data you are collecting. At the same time, if you are looking to migrate to the new IBM Digital Analytics User Interface, now is also the perfect time to eliminate your older dated reports and create updated ones in the new UI that fully support your GDPR compliance plans. The GDPR deadline is right around the corner, and it is critical that you have a view of what personal data you collect on customers to effectively prepare for GDPR compliance. Now that you know what you need, let us help you make the process easier. As an IBM Gold Partner with deep expertise in IBM Digital Analytics and Watson Customer Experience Analytics, we can assist you with a DA Health Check to put you on a successful path to GDPR readiness. IBM has made available a Watson Marketing GDPR readiness site with additional information on GDPR readiness that you can find here. To request a consult from Pereion Solutions and discuss how a Digital Analytics Health Check can help prepare for GDPR, just click on the tile below.